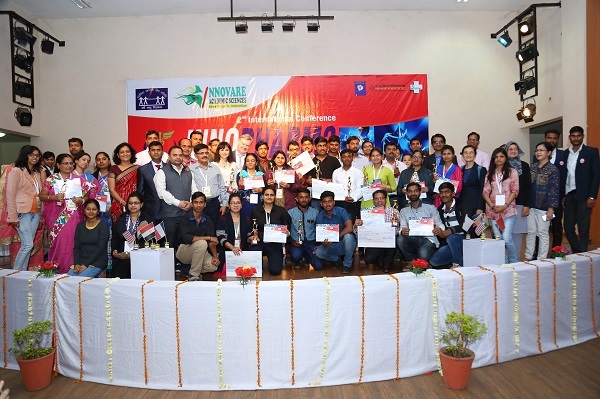 The 2nd International Conference Innopharm-2 on Bridging Innovations in Pharmaceutical, Medical and Bio Sciences was held on 11-12 February 2017 in Bhopal, India. 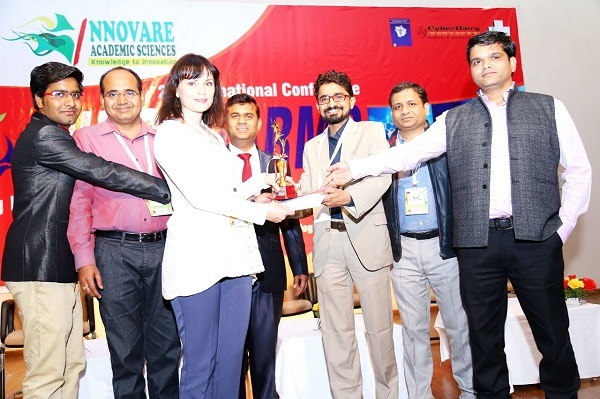 The conference was organised by Paramita Health Care Society in association with Innovare Academics Sciences at M.P. Council of Science & Technology, India. The main topics of the conference were following: pharmaceutical development of medicines, drug delivery systems, pharmacology, toxicology and pre-clinical studies, biochemistry and microbiology, research of herbals, biotechnology, pharmaceutical analysis and quality control, regulatory aspects, medicinal chemistry, clinical research, pharmacovigilance, pharmacoeconomics. Scientists working in various scientific fields (pharmaceutical, medical, biological) presented their reports at a unified international platform that bridged together researchers from around the globe to achieve a common goal – to ensure an effective and safe therapy. Scientists from 15 countries and 27 states of India presented about 150 research works in the form of oral and poster presentations. The expert panel evaluated them. The award ceremony was held at the end of the conference. The best speakers in various categories were awarded. The event was widely covered in the mass media. Ukrainian Scientific Pharmacopoeial Centre for Quality of Medicines took part in the conference. Dmytro Leontiev, D.Sc., Deputy Director of Science, Head of the Validation and Reference Standard Department, presented a research work ‘Study of the reference standards mass impact on the homogeneity assessment of pharmaceutical substances’ (Authors: Dmytro Leontiev, Natalia Volovyk, Nataliia Denisenko). Natalia Volovyk, Ph.D., Deputy Head of the Validation and Reference Standard Department, presented a research work ‘Development of software for the calculation of the molecular weight distribution in low-molecular-weight heparins according to the European Pharmacopoeia’ (Authors: Natalia Volovyk, Dmytro Leontiev, Denis Leontiev, Lev Ivanov). Dmytro Leontiev was greeted as a guest of honour. Natalia Volovyk was awarded for the outstanding presentation. (Organisers gave permission to place materials from the conference on the site of Ukrainian Scientific Pharmacopoeial Centre for Quality of Medicines).